Betty Lou Krieger was a miracle when she arrived January 10, 1940. Her happy parents, Esther and Jake Krieger, had been waiting 10 years for a child of their own and after multiple miscarriages, the couple had almost given up on the prospect of having their own children. While they waited Jake and Esther became custodial parents for Esther’s two nieces who needed loving care. The cousins also eagerly welcomed the new baby sister. At the time, the Krieger’s were getting established on a 25 acre farm on what was known as “Billings Bench” a plateau in Treasure County, 10 miles east of Billings MT. They had chickens, and 5 dairy cows; raised alfalfa, and had a large vegetable garden. It was into this pleasant home Betty Lou arrived (her mother insisted her name include “Lou”). One of her early delights was to spend time in the brooder house where fuzzy little baby chicks were brought in early spring, kept warm on the clean straw by a warm heater. She loved to hold the fuzzy, soft yellow peepers and imitate the sounds they made. She would watch the cows being milked in their stations as they chewed their cud, and hold the kittens who would be there waiting for their warm milk. Betty Lou’s pre-school years went by in this way. There was no electricity in rural areas at that time. Esther and Jake enlarged their farm, built a larger house which had electricity and plumbing and all modern conveniences. By this time the older sisters (cousins), 4 and 8 years older than Betty had gone to live in other states. Betty (the “Lou” by this time, was forgotten) went to church school in Billings. Jake, who was a carpenter, plumber, and electrician, as well as a farmer and dairyman, built his house with Esther who helped him with everything. Jake developed severe hay fever, had to give up farming. He and a close friend (Herb Reinke) formed a partnership that took them to build Adventist Academy’s in western states such as Mount Ellis Academy in Montana. By this time, Betty was ready for high school and attended Mount Ellis Academy all 4 years. Betty was a beautiful brunette with hazel eyes and had a lovely smile that made her quite popular. Marriage followed her high school years. She married Jerry Spainhower in 1959 and had two sons, Kevin and Tod. In 1969 the couple divorced. In 1971 she met Ray Blue while the two were serving as Pathfinder Counselors. Ray had 2 daughters, Kris and Kelly and in 1972 Ray and Betty were married, blending their families. The two (plus 4) shared many happy years together. Betty worked at College of Idaho in the Library for many years as the Librarian, and later at Pacific Press as the Director of Photography Services. Ray Blue was a math and physics teacher at Gem State Academy (another building project of her father, Jake Krieger’s). Ray was a quick study and learned to build houses during his summers off with Betty’s father, Jake. During their retirement years, the couple used those building skills and her photography skills, to bless lives by constructing schools and churches in many exotic places like, El Salvador, Peru, Africa, India, Thailand, Guatemala, and Mexico just to name a few. When they weren’t traveling, they spent time attending family events, sporting events, and performances by their children and grandchildren. They constantly looked for ways to share their love for their family and for Jesus Christ. Betty was preceded in death by the love of her life, Ray Blue; and both of their parents. 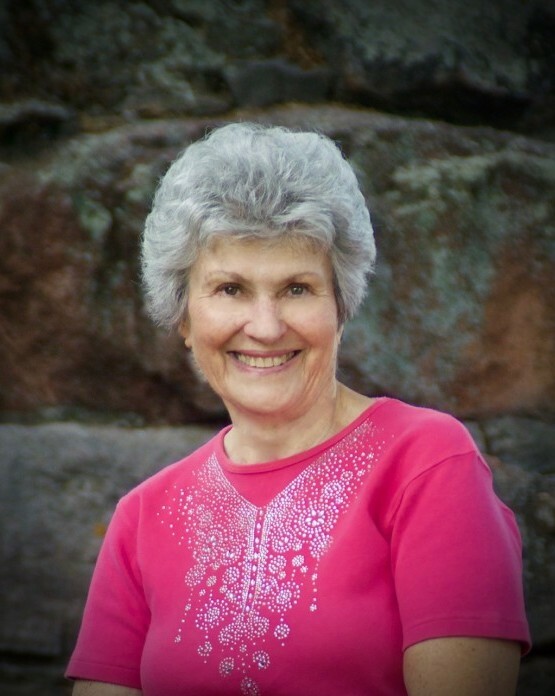 She leaves behind 4 children, Kris Fosness of Kuna, Idaho, Kelly Northouse (Ray) of Eagle, Idaho, Kevin Spainhower (Dee) of Caldwell, Idaho, and Tod Spainhower (Tracy) of Eagle, Idaho; 7 grandchildren; and 7 great-grandchildren. In lieu of flowers the family has asked that memorial gifts be made to Gem State Adventist Academy’s Worthy Student Fund. Celebration of life will be held at 4:00 PM Saturday, March 2, 2019 at Cloverdale Seventh-day Adventist Church, 1115 N Cloverdale Rd., Boise, ID 83713.